Our SuperBand® plastic wristbands are made of water-resistant tri-laminate material and feature locking plastic snaps that make the wristbands ideal for multi-day use. 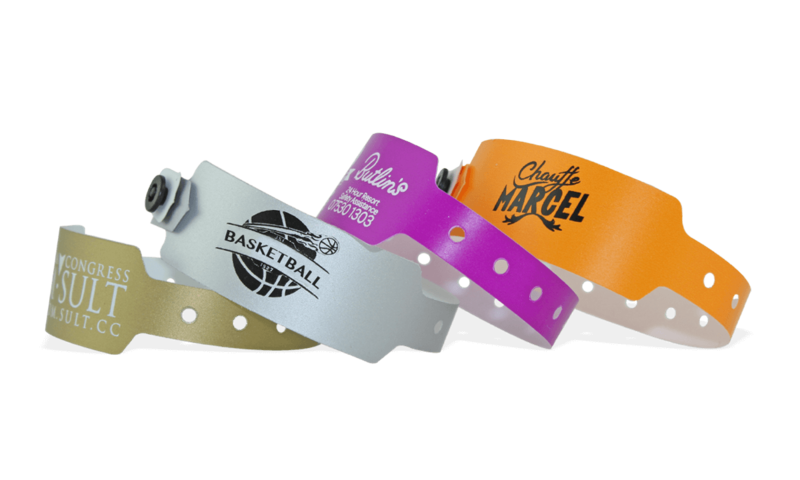 Our Custom SuperBand® plastic wristbands are the perfect solution when you need a strong, high-security wristband that can’t be transferred. They are available in 21 colours and can easily be adapted for every event. All imprints are printed in 1-colour only.